So I felt a little nail art deprived again and decided to do another fun stamping look using my MoYou London Explorer Stamping Plate. 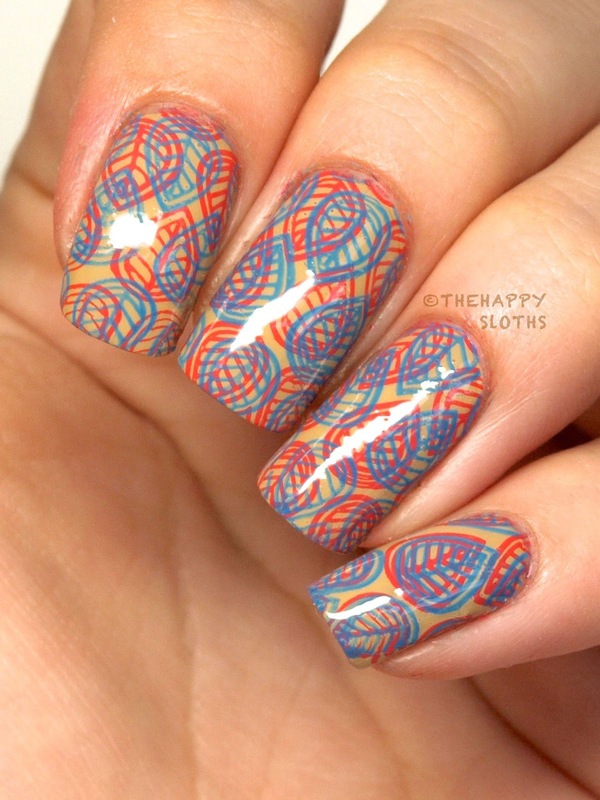 I feel like the neon on neutral trend is very popular for the summer time so I gave it a try, adding in what I call a bit of "double stamping". I was very happy with the result so I thought I share it with y'all today! For the look, I started off with "Honey Neutral" from OPI for Sephora (which I believe is now discontinued, unfortunately). 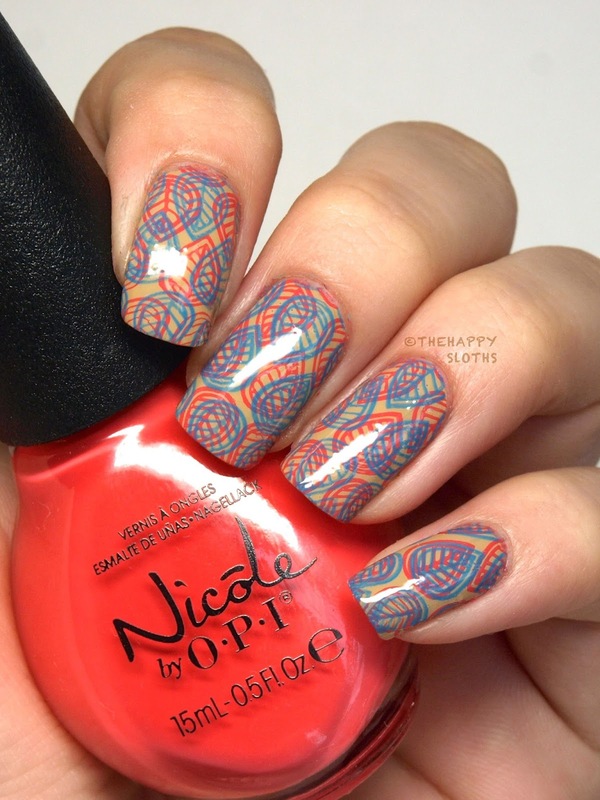 I picked a leaf pattern and stamped that on using "Coral of the Story" from Nicole by OPI's Summer 2014 Collection. 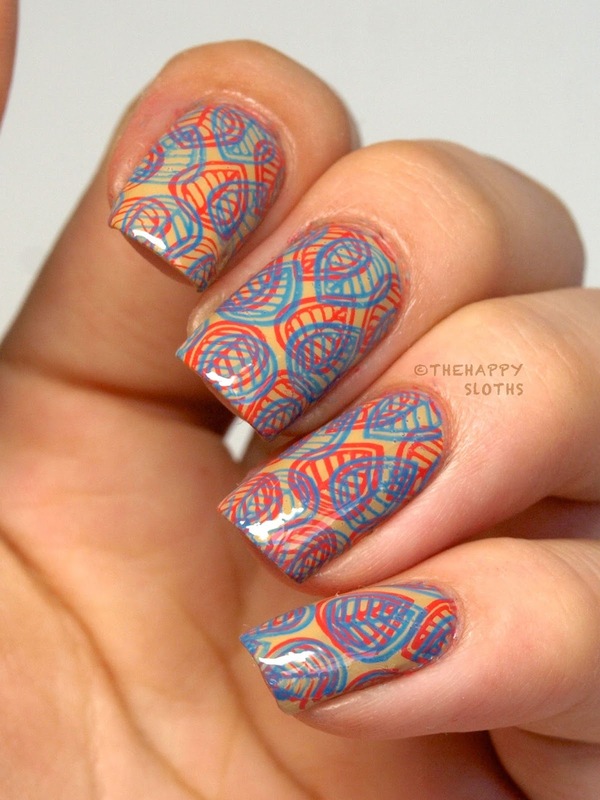 I attempted a sort of 3D effect by stamping the same pattern once again but using a different color, "Strut your Stuff" from Essie's Summer 2014 Collection. The resulting color combo is very unique and chic, feels like it would make a cool fabric pattern! So are you a fan of neon and nudes used together in nail art? Share your thoughts with me in the comments below!